Because Love IS a verb, and we have to remember that loving actions are the breath of our LOVE. 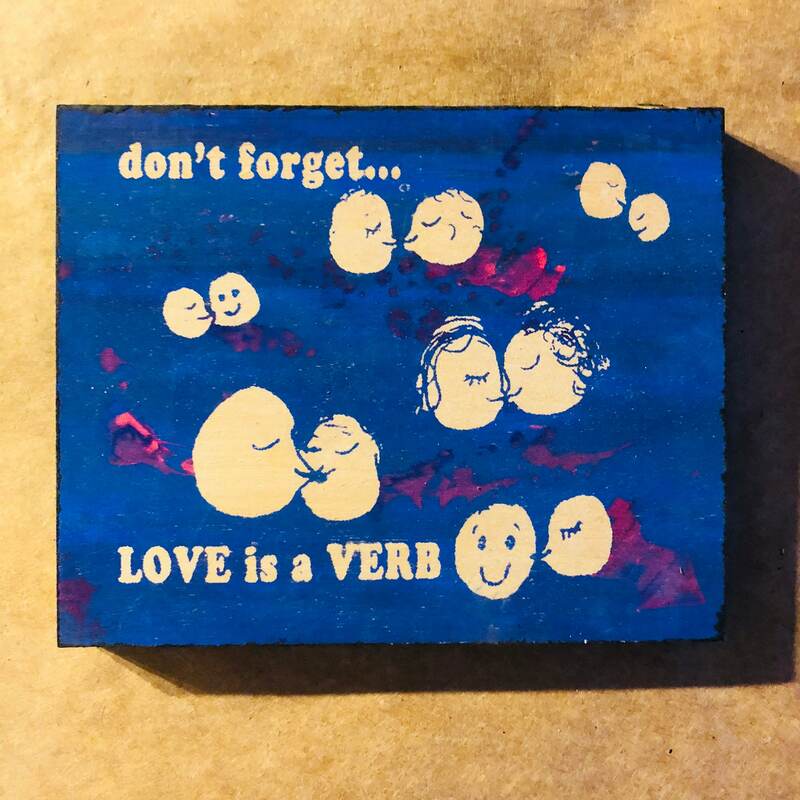 Silkscreened on wood by hand at approximately 4x5 inches. Slight color variations may occur since we make them all by hand.